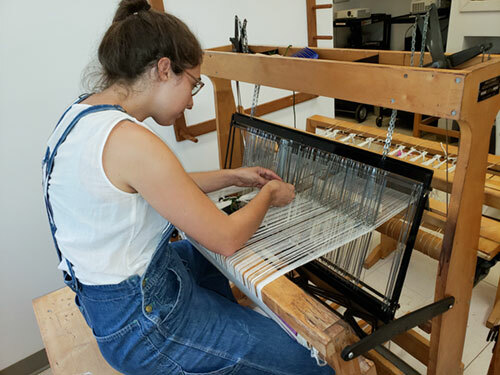 This semester, the Meredith Department of Art hosted its first Artists in Residence (AIR) class, a program aimed at supporting new artists. Janie Kimmel, ’13, Jessie Taylor, ’16, and Meaghan Evans, ’18, make up this first AIR group. All three majored in studio art at Meredith. 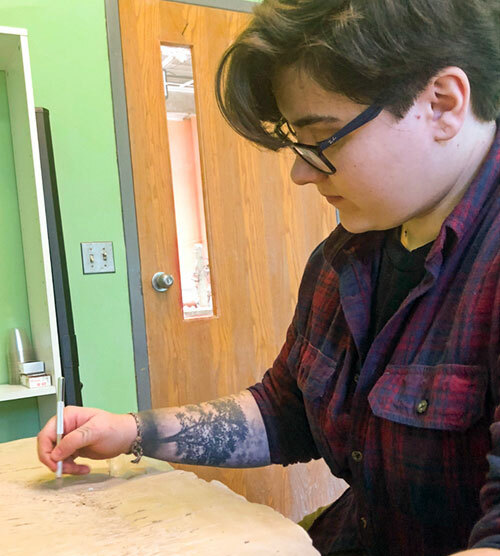 Their work will be on display in an exhibition titled Resist, Cut, Reveal, in the Weems Gallery through January 11, 2019. A closing reception is scheduled for January 10 from 4:30-6:30 p.m.
An exhibition of their work is one of the benefits of the AIR program. Among the other benefits are a stipend, access to Meredith College Art Department facilities, a dedicated workspace, faculty mentorship, and monthly group critiques. The artists also complete 10 hours a week of experiential learning, in topics such as teaching methodology, gallery management, and more. Jessie Taylor is also working as a fiber artist with Emily Howard. She was drawn to the AIR program for the opportunity to return to Meredith’s studios. “As soon as I graduated, I was ready to go back to school and keep creating. I immediately missed the environment in Gaddy-Hamrick. Since graduating it has been tremendously hard to balance a full-time job and a fulfilling art career. I also chose a process, ikat weaving, that I do not have the tools to do at my own house. Having full access to the studios on campus was too much of a treat to pass up,” Taylor said. Meaghan Evans is a ceramics artist working with Assistant Professor of Art Holly Fischer. Evans says the most rewarding part of the AIR program is being in an environment full of artists. “I am grateful for the opportunity to learn the proper skills and techniques required to create a beautiful and personal body of work,” Evans said. “For the first time, I feel like I am making work that I am unashamedly proud of. It’s an exciting development for me as a person and as an artist." Faculty mentor Holly Fischer has been pleased with how the AIR program is supporting Meredith artists and their growth. In addition to allowing AIRs to work on their own art in a supportive environment, current students benefit from AIRs who provide feedback and assistance. Fischer invites the campus community to the AIR exhibition and see the results of the program. 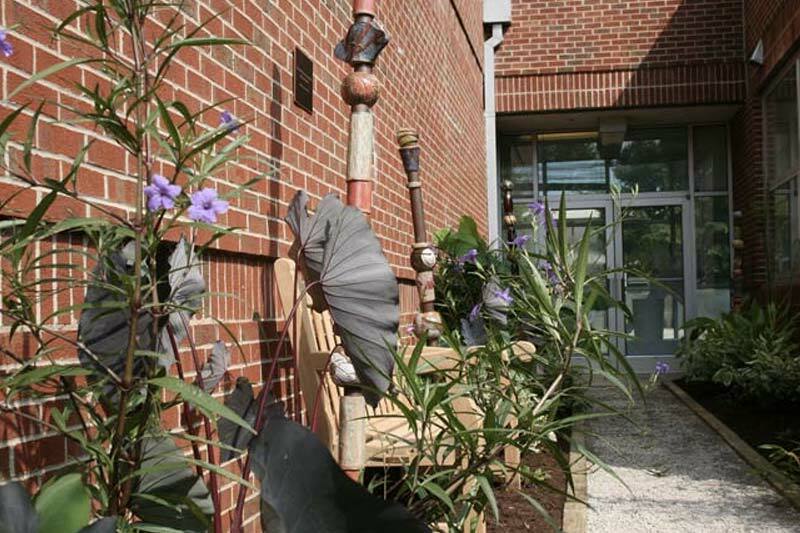 “I'd like to strongly encourage the Meredith community to attend the closing reception and support these residents and this program,” Fischer said.